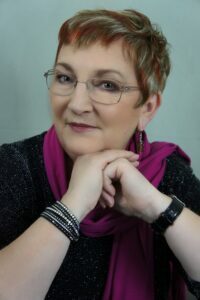 English indie author Elizabeth Ducie shares her feelings on being excluded as an Amazon reviewer Elizand on having her reviews of books summarily removed without explanation or justification. I’m sure I’m not the only writer whose relationship with Amazon is somewhat ambivalent. It provides a quick, easy self-publishing service with no up-front charges. But it is a huge corporation that works in mysterious ways and doesn’t always listen to its customers. Whether to keep my books within KDP Select, or to ‘go wide’ is a constant dilemma. However, as a reader, it’s different. Whatever we may feel about the importance of bricks-and-mortar bookstores, for most of us, Amazon is a big part of our buying and reading experience. In 2015, I pledged to review every book I completed. With 199 reviews on my account, I was ranked at #12,684. I have no idea whether that’s good or not, but when most Amazon numbers run into the millions, it seemed pretty good to me. So, when I was locked out of the system recently, due to ‘perceived bias’, I was devastated. And when I found my earlier reviews had gone missing, it was even worse. I’d recently seen a Facebook thread from someone who’d lost all of her thousands of reviews. I went looking for her and found a growing group of ‘victims’, a mix of authors, reporting losses of ones and twos, and reviewers reporting complete losses. After some fruitless searching for a link to Amazon Customer Services, I gave up and composed a polite, even grovelling, email to Jeff Bezos. It made me feel better, although I didn’t have too much confidence it would elicit a response. I took part in online discussions about the wickedness of the powers that be. I tweeted links to my Goodreads reviews, including #giveourreviewsback, and celebrated retweets from well-known authors, presumably spotting their names and not noticing the rest of the message. I tried, unsuccessfully, to persaude my husband to cancel his Amazon Prime account. And I toyed with leaving Amazon altogether. I was fully expecting my exclusion to be confirmed and converted to full expulsion. However I suddenly got messages from a couple of contacts, saying my reviews had reappeared. This was closely followed confirmation from the Product Review Abuse Team, saying they were restoring my reviews and reviewing rights. They apologised for the inconvenience and thanked me for my understanding. So, I am now back in the system. I’ve not posted anything yet, as I’m nervous about triggering again whatever it was that threw me out. I have no idea what that was, and probably never will. I am an author, but I have two Amazon accounts; one for writing and one for reading. I was on holiday at the time, so my review rate had gone up from weekly to daily. Many of my purchases are made through the Prime account, which is not in my name, so they don’t show as verified. And I rarely post a poor review, since if a book doesn’t warrant at least three stars, I don’t finish finish or review it. I am not biased in my reviews and frequently give friends fewer than the five stars one might expect from a biased reviewer. Being excluded felt very uncomfortable. My husband couldn’t understand why I worried about losing reviews for other people’s books. And, yes, it’s hard to explain. I felt insulted, and unfairly treated. It’s good to be back in the fold. Although I’m hoping some of the cool gang will still be my friends. Great that you persisted, Elizabeth! You are a role model for others. #metoo all my reviews were removed too a few days ago. You have given me hope! So you contacted Amazon and it resolved? I have called and emailed. Fingers crossed for a good outcome. I was ranked about #7,000 when Amazon removed a number of reviews for ‘supposed’ favorable bias. I didn’t know any of the authors and nor were they contacts on any of the social media platforms. I appealed but got nowhere so I removed my other 400 reviews. It was partly dummy spit but I’d been wrestling as to whether authors should review the work of other authors and Amazon’s actions helped me come down on the side that they shouldn’t. That said, I still review on Goodreads so perhaps it was more ‘dummy spit’ than moralistic :-). I’ve heard of authors with two Amazon accounts. How is that possible? Do you use different email addresses? This is a great article. Thank you for sharing your experience. I am sure it is helping everyone online who has lately been experiencing the problems you have. I haven’t even gone on to check my piddly little reviews (although good ones for which I am grateful) on my first book since I had no time to market while trying to finish up a degree in my later years. But now I am ready to publish the Second Edition to that book and all this happens. It is disheartening and scary, so I may wait a bit until it blows over. The reason why I am so calm about this, which is not always my nature, is because I believe Amazon has had some type of ‘breach’ (outside or in), which caused the problem instead of a ‘team’ deciding to change things up and take off reviews. The reason I think this is because there is more going on for Amazon authors than just losing reviews, as a friend of mine has reported. She is still working with Amazon to get a book back on there that had been on for four years now. Suddenly they said they didn’t think she was the author and took it off. So, to me, it appears to be what many businesses today are running into–hackers, breaches, etc. Amazon is not the first. And the bigger the businesses, the tougher to research and iron out all the damage that was done. Although I would love to go online and do business and feel that everything I want to be private is and a hacker can’t get me, that is not reality today. So my beef or I should say my blood pressure thermometer is businesses constantly making us change passwords, using three or four methods to get into my own information and sites, etc. It drives me crazy. I spent two-and-a-half hours today (what a waste of time) trying to get into an account for business. They would not take my password–no matter what! And I write all my passwords down in a book with the date, etc. So they send me a few numbers to go back in and create a new password, which I did. Wrote it down immediately in my book and created a new password for that account. Nope! Rejected again!!! It’s SO frustrating that I am considering just writing every day and not publishing or marketing anything until I have at least six books, and maybe by then the world won’t be SO crazy!!! Sorry this is so long. But it was good to get it out. Thanks.